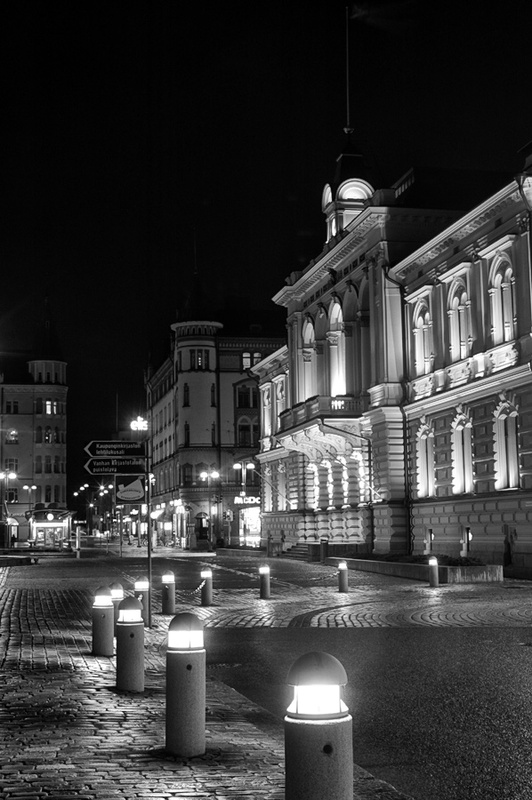 This entry was posted in Risto's photos and tagged B&W, city hall, night, tampere. Your night scenes are excellent! Always glowing, perfect lighting.